Getting traffic to your website is essential for any small business owner. 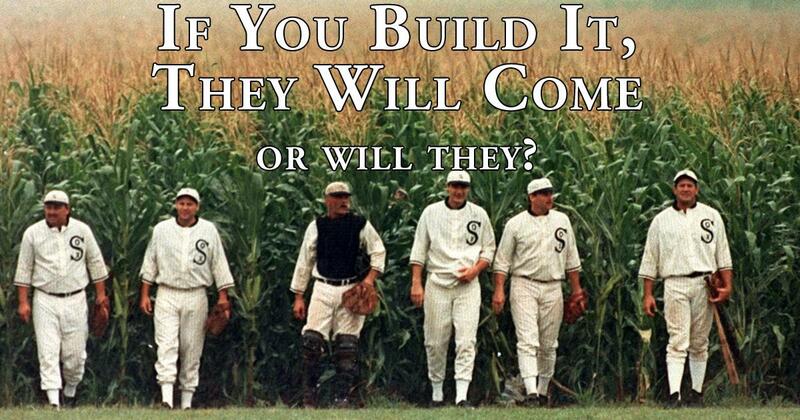 But if you're operating under what I call the "If You Build It, They Will Come" you will be disappointed with the results. It's a memorable movie line, but a terrible online marketing strategy. When a website is built, it needs to incorporate a comprehensive SEO strategy. If any web designer tells you that he doesn't do SEO, you need to look for another designer. Some designers like to focus on the design aspects of a website. If you use this type of designer, you'll end up with a pretty website, but not much traffic. I'm going to give you one very specific tactic to increase traffic to your site. Reviews on Yelp, Google, Facebook, and other social media sites can have a big influence on potential customers. 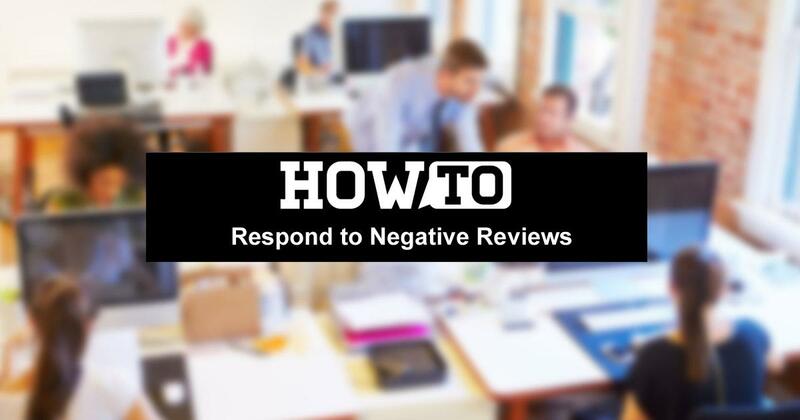 It's important for your business to manage it's online reputation and respond to negative reviews as well as thanking people for positive reviews. Customers appreciate personal contact. Want more people to read your eblast? Make your eblast moble friendly. More email is being read on mobile devices than on desktop email clients. That's why it's important that your eblasts are mobile friendly. There's an obvious correlation between the readibility of an email and the likelihood of it being read. Make the email easy for users to read and more of them will read and engage with it. A user shouldn't have to zoom in or scroll. The more a user has to do to read your email, the less likely the user is to read it. Users should be able to read your email comfortably at arms length and click on any links with 1 thumb. Mobile friendly eblasts will also increase your click rate. Follow these simple guidelines to make your eblasts mobile friendly. Implement the steps below to make your eblat mobile friendly. 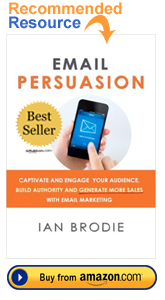 Then get my Email Persuasion by Ian Brodie to learn how ot write emails that are engaging and how to turn your subscribers into paying clients. Template - use a template that is mobile friendly or responsive design. Layout - use a single column layout. Use a maximum width of 640 pixels (px). I recommend a width of 320px which is the portrait width of an iPhone. Some templates with a single column layout may have other design elements on the side that increase the wide of the layout - get rid of those design elements or use a different template. Font - use a font that works well across all platforms; Arial, Verdana, Georgia, Times New Roman. Font size - use a minimum font size of 16 pixel (px) or 14 point (pt) for body copy. Apple recommends 17-22px Google recommends 18-22px. Mail Chimp has found that 16px Georgia works wells. Headlines should be a minimum of 22pt. To get more clicks, place your primary CTA near the top of your message. You'll get fewer clicks if you bury the CTA at the bottom. Have 1 clear, compelling CTA in your eblast. Consider using a click-to-call button. Calling is easier than filling out a form. Images - Don't assume your images will be viewed on mobile devices. iPhone's native email app will display images by default, but many email clients will block images by default. Many won't load background images at all. When you use an image make sure it's bold and bright with a single focal point. Don't put any important messaging on the image as many users may not see the image. Content - your content should be clear and concise. It's important to engage users as quickly and efficiently as possible. Limit the amount of copy and use headings, short paragraphs, and bullet points, and short paragraphs. Do not insert any tables. The goal is to drive traffic to your website and engage users there. When posting to a blog, I recommend that the eblast only contain enough content to compel users to click on a Read More link to the full post on the website. When users are on your website they can; buy products, submit a form, subscribe, watch a video, leave a comment, etc. Remember the Big Idea is to bring traffic to your website. Provide a plain text version as an option. This is a CAN-SPAM best practice and it's helpful in trying to reach customers with email clients that don't support HTML email. You'll notice that many users will revert to useing the plain text version as well. That should tell you that people prefer a clean, easy to read email. Test - Send a test email. If possible, check how it displays on different devices; desktop, iphone, android, ipad. Analyze - track your recipients engagement and pay special attention to mobile users. Engaging mobile users is increasingly important. If this post was helpful, please share it! Promotional videos, when done correctly, can be an effective lead generation tool and a great way to communiccate your value proposition. Your video or animated slide presentation needs to be created so that people actually enjoy viewing it. It should be fast, engaging, and include content that benefits the viewer. Video allows you to get your strongest message possible in front of people who wouldn't normally take the time to learn what your company offers or the benefits of your product. They can be produced for lesss than most sales activities and provide a great ROI because they can be used over and over. What makes your company/product/service so unique, valuable, and special? Explain how you differ from the competition. Do you want to position yourself against your competitors? By how much and how? What problems do people have without your solutions? Why would someone not want to buy what you're offering? Are there any misconceptions about your company? RESULT: Your viewers hear an engaging, persuasive and targeted message that educates them and encourages them to learn more. Provide quality educational and useful content that benefits the viewer. Tell a story! People want stories. That's what all TV, movies, and books are. People are attracted to great stories. Make it shorter. The first thing people check when they decide to play a video is to see how long it is. 10 minutes: no way. 2 minutes: I'll give it a chance. If you want your video to go viral on Facebook don't post YouTube links on Facebook. Upload the video to Facebook. Native Facebook videos get significantly more engagement. Facebook has decided to favor videos uploaded directly to Facebook. After you have made a concise, compelling video with a great story, share it with people who would care about what you have to say. Take control over what social media crawlers grab when your video is shared by including the proper Open Graph tags on your site. Use the right subject lines and titles. People like "How to" and "Lists" titles so use them. Leverage content blockers that forces users to share before they can view content. Limit social buttons to 2 or 3 and place them within your content. Make it easy for viewers to share on social media and to forward to others. RESULT: Increased exposure of the important benefits of your company, product, or service. Know where you want to direct your traffic. Whatever you link it to make sure it is optimized to convert the traffic. Make sure people know how to contact you. Respond quickly to request that come in. Need a video to effectively promote your business? Contact SiteHatcher for more info. It's important that images are sized correctly before they are uploaded to your website. There are two aspects of an image to be concerned with. Image dimensions - the height and width are measured in pixels or px for short. For an example image I'm going to use this photo I took on a recent trip. You'll notice the file is 2MB. I try to keep images around 50KB on my website depending on what I'm using the image for. So, you can see that 2MB is way too large. The dimensions are 3264 pixels x 2448 pixels. To give you an idea how big that is, the dimensions of cover photos on Facebook is 851px x 315px. Our sample image is almost 4 times the width of a Facebook cover image. Usually once we take care of the dimensions, the width and height of an image, that will take care of the file size as well. I normally use PhotoShop to resize images. 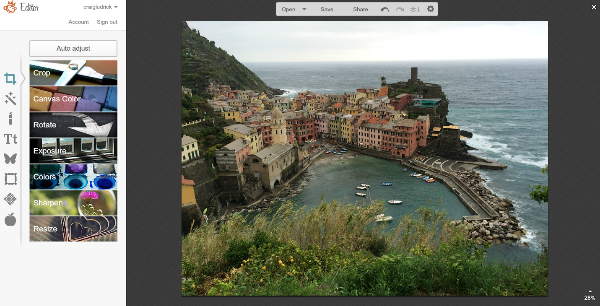 I'm assuming that if you have PhotoShop you already know how to resize images. So for this demonstration, I'm going to use PicMonkey a free online tool to show you how to resize images for your website or blog. The basic editing features are free with PicMonkey. You can upgrade and get access to all of the PicMonkey tools. If you're going to be working with images and you don't have PhotoShop, I recommend you get the paid version. I have PhotoShop and I still use PicMonkey quite a bit because it's so quick and easy to use. Step 1: Go to PicMonkey, click on the Edit icon at the top, then click on Computer under the Edit icon. Then choose the file that you want to resize. 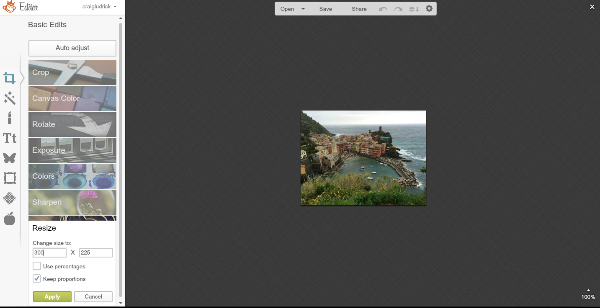 Step 2: Notice in the bottom right corner that the image is displayed at 28% of it's size. It's so large it can't fit on the screen. Click on Resize at the bottom of the left column. Step 3: Enter in your new pixel dimensions. If your not sure, see my note below to help you get an idea. Make sure to check the Keep Proportions box. Click on Apply. Step 4: In the first box, you can rename your file and select file type. I recommend you save it as a jpg. Under Quality, I recommend you select the middle button. That tends to give adequate quality and file size. 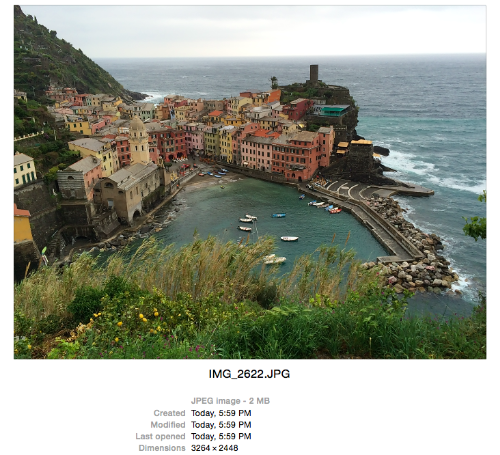 Notice the dimensions are now 300px x 225px and then at the bottom, you'll see the file size is only 27KB. Click on Save to my computer. Now you're ready to upload the new file to your site. What if I'm not sure what pixel size my image needs to be? If you're new to working with pixels here are 2 ways to find out the dimensions of an image on a website. By looking at the size of images already on a website you'll get an idea for what size your image needs to be. 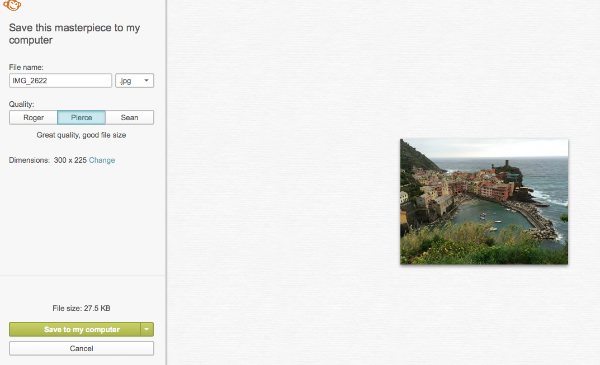 In Firefox, right cick on an image or put 2 fingers on your trackpad when you click it. That will bring up a menu list. Select View Image Info. Look down and you'll see Dimensions. MeasureIt is a helpful FireFox Add-on you can install that allows you to move your cursor on the screen to determine the size of any image or space that you are viewing. I use this frequently. Chrome has a similar Add-on called PageRuler. There are multiple benefits to adding videos to your website. Videos on your site will help your pages to get higher rankings with Google. To get the full SEO benefit your YouTube account should be integrated with your Google My Business account. Contact me if you need help setting that up. Videos are "sticky". Users engage and stay on your site longer. Increased engagement also helps with SEO. Video is very shareable which will expand your reach. 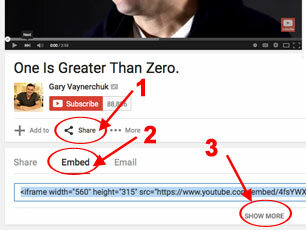 For a sample video to embed, I'm going to use one of Gary Vaynerchuk's YouTube videos. Keep in mind, you will get much more benefit from creating and uploading your own videos. When you upload your own videos to YouTube, you will need to optimize them. I'll go over that in another blog post. Click on the Share button under the video. Click the Show More link. Paste the code on your blog or website. See specific instructions for SiteHatcher and WordPress. 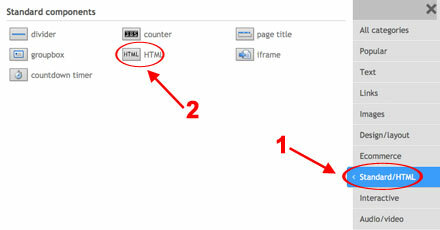 Paste the embed code inside the html component. Note: You can also click on the Audio/Video in the right column, select the YouTube component and then paste in either the YouTube link or the embed code. Using the HTML is 1 less click and you can also paste in the embed code from Vimeo, Ustream, and others as well as YouTube. Click on the Source button in the edit bar. Click button to Apply Changes. On the edit bar click on Text - see image. Be sure to put the " after the 1. Was this helpful? If so, share it! For your inspiration, I embedded the code from above that I used as a demo. Watch Gary Vaynerchuk's 2 minute video below for inspiration to help you to be consistent in posting to you blog and adding videos as well. Many non-profits overlook the fundraising opportunities that printed newsletters have. I've listed some quick ideas to breathe live into your newsletter's fundraising efforts. 1. Make your newsletter interesting. It sounds obvious but that's why most newsletters don't get read - they are dull and boring. Start with a professional looking design to make your newsletter visually appealing. If you don't have design skills then buy a template or pay a designer. Use large, interesting images that portray some aspect of your nonprofit that will capture the reader's attention. 2. Feature stories about changed lives. Focus your newsletter on the impact that your non-profit is having on people. Stories of changed lives is one of the top factors that motivate people to donate. 3. Always include a response envelope. Sending out an electronic newsletter is cheaper and faster - but, a large segment of the population still prefers to give by check. Providing a response envelope facilitates their giving. My recommendation is to alternate months with an e-newsletter and printed newsletter. 4. Follow up on the newsletter. Segment your list of donors and follow up the newsletter with a personal meeting, phone call, or an e-mail. 5. The #1 thing that get's read in newsletters - is the personal note that you write on them. Leave room in your newsletter design to allow for you to include a personal note to donors. Write it in blue so it stands out. Use these notes to thank donors for their giving, to let them know you look forward to meeting with them soon, to engage them to participate in some way in your nonprofit, etc. 6. Inform donors of additional ways to give. Use your newsletter to educate donors of additional ways they can give to your nonprofit. Stagger throughout the year the examples that I list below. Planned Giving - wills, bequests, etc. Securities - your organization will need to have an account set up with a broker to facilitate receiving the stock and then selling it. ACH - donations automatically drafted from checking or savings accounts. Giving through your website. Provide an option for people to have a subscription if they want to want to donate monthly. Provide a PayPal option as well as credit cards through a merchant account. Matching Gifts - great way for people to leverage their giving. 7. Feature occasional stores about donors. Interview donors to find out why they give and what other ways they participate in the organization. If they give in some of the ways that are listed above - use this as an opportunity to explain some of these different giving opportunities and specifically how this donor was able to utilize a particular way to give. If you're website isn't facilitating the variety of ways that your donors can give then contact us. We can set up your merchant account so that people can give online. We can also set up your website to capture all of the additional giving methods we've mentioned. Merchant Account or 3rd Party Payment App? Which is better to use on your website to process donations and/or store purchases - a merchant account or a 3rd Party Payment App such as PayPal, Google Checkout, etc. In a usability study when users were routed to a 3rd party payment application once they initiated the donation process users were annoyed and confused. My own experience in having a webstore and initially using a 3rd party payment application is that users were often confused and would bounce without completing their purchase. They thought that since they didn't have an account with the 3rd party payment system that they couldn't complete their purchase. I even put in big red letters that they didn't have to have an account that they could still use their credit card and complete their purchase as a guest. It still didn't help. I finally switched to a merchant account. Even though many 3rd party payment apps don't require an account, trying to complete your transaction without one is unintuitive and confusing. There are some 3rd party payment apps that offer more seamless integration. PayPal is a popular payment app and many people that do a lot of shopping online have an account and prefer to use it. Use both. Get a merchant account because it will easily and seamlessly allow you to process credit cards on our website. You will process more transactions because it's seamless and integrated with the website and people know what to expect. For people that prefer to donate or pay with PayPal offer that as an option as well. Need help? No problem we can help you get your merchant account and get it set it on your website for you. How it spends its money. The research study also found that donors struggled to find this information on the home pages or even in the pages within the websites of non-profit organizations. Often, critical information regarding how a non-profit organization spends its money was only available after a donor initiated the process. Unfortunately, this information was only available to people after they had made the decision to donate to the organization. Other people who were researching or evaluating the organization, never had access to this important information because it was within the donation process. For example, in many cases there would be a link on the home page of an organization with a call to action to donate to a specific project. But only after clicking on that link would users sometimes get access to more detailed information. But in the mind of the user they would only arrive at that page after making a decision to donate. It would have been more effective to place important information that donors are looking for prior to the donation process. It would be most helpful to donors in their decision process to provide specific information for how money for a specific project will be used. Tell people what you do. Make it very clear what your organization does and put it on the home page of your website. Sounds simple enough but you would be surprised how hard it is to figure out what some organizations do when you visit their website. Focus on what services you provide and why. Keep it simple and easy to understand. Show where the money goes. Be proactive in anticipating donors questions and show how money for projects as well as the ministry budget is spent. Put the name of your organization and your logo on the top of each page. Write straightforward and simple headings and page titles that make sense and are SEO friendly. Set up the web page to facilitate scanning by using groupings, subheadings, bullets, bold text, and highlighting so that users can quickly get the gist of the page at a glance. Focus on creating valuable content. Optimize images before uploading to your website. There are plenty of free online image optimizers. Keep images under 25KB. Limit the number of fonts to 2 or 3 at the most. Use Serif fonts for headlines and Sans Serif fonts for text. Clear and easy navigation. Don't make your users think. Make it easy for people to find what they're looking for. Mind the gaps! Pay attention to consistent spacing between your elements and use white space effectively. Contact the SiteHatcher Support Team for help creating a website that gets results. Let me know if the content was helpful by sharing it! 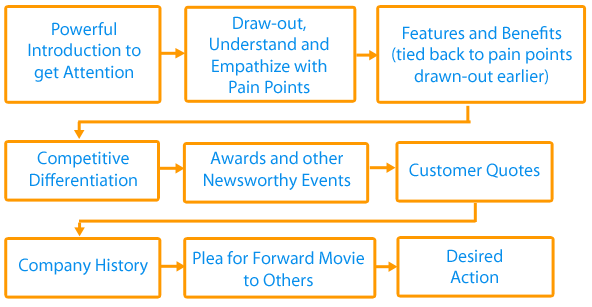 My "sweet spot" is helping small businesses and non-profits communicate their message in a way that gets results. SiteHatcher creates websites that get results by integrating Search Engine Marketing, Social Media Marketing, and Email marketing. Good design get's results.